The chile pepper, chili peppers, chilli or chilie, is the fruit of the plants from the genus Capsicum, which are members of the nightshade family, Solanaceae. Although chiles may be thought of as vegetables, their culinary usage is usually as a spice, the part of the plant generally harvested is the fruit, and botany considers the plant a berry shrub. The name, spelled differently around the world (chili, chile, chilli or chilie), comes from Nahuatl chīlli via the Spanish word chile. The term chili in much of the world refers almost exclusively to the smaller, hot types of capsicum. The mild, larger types are called bell peppers in the United States, Canada and sometimes the United Kingdom, sweet pepper in Britain and Ireland, capsicum in India and Australia-Asia, and paprika in many European countries. Bell peppers are often named simply by their color... typically reds and greens. Chile peppers and their various types originated in the Americas; they are now grown around the world because of their wide use as spices or vegetables in cuisine and in medicine. 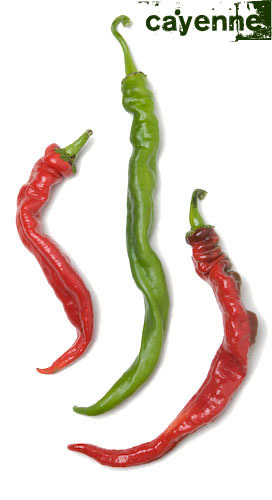 Chili peppers have been part of the human diet in the Americas since at least 7000 BC and perhaps earlier. There is archaeological evidence at sites located in southwestern Ecuador that chiles were already domesticated more than 6,000 years ago and one of the first self-pollinating, cultivated crops in the Americas. Christopher Columbus was one of the first Europeans to encounter chiles while in the Caribbean. He called them "peppers" because of their similarity in taste (though not in appearance) with the Old World peppers of the Piper genus. The idea for this website was rooted from a photography assignment for internationally acclaimed Arizona Highways Magazine in 2007. The magazine asked Stevenson Photography on Location to produce the photographs for a story of the large, yet often overlooked, chile pepper industry in Arizona. During their 6 months of shooting, photographers Ryan and Don Stevenson kicked around the idea of producing an Arizona Chile Poster as a fun side project to the magazine article story. As the poster idea heated up, so did a variety of other chile related projects. What about a line of chile tee shirts? How about a fun website? So, here are the fruits of our labor with more to come. Some fun facts about chiles. A showcase of photography from our photo shoots. Some tasty and very good chile recipes. Our poster and a few other merchandise items. Poke around. Explore a bit. And don't forget to Eat, More, Chiles! The Stevenson's are professional photographers based in Arizona. And they are chili pepper lovers, too. View a slideshow of these photographers on assignment as they photograph the Arizona chile industry. Don began his photographic career in 1975 as a photojournalist for 10 years and as a commercial photographer for his own company - Stevenson Photography On Location - since 1985. Don's favorite chile dish is the Chile Relleno con Carne Asada (see our recipe page). Ryan Stevenson received his degree in photography from Northern Arizona University (NAU), in Flagstaff, AZ, and has been photographing for the company since 2005. He also works part-time for Sports Illustrated Magazine and has his own business photography website. Ryan's favorite chile is the cayenne pepper. Cameron Stevenson has a degree in Hotel & Restaurant Managment from NAU in Flagstaff and served as a manager at a Montana guest ranch prior to joining the family photo company in 2007. He is responsible for the company's international stock photography business and video production. He also has a graphic design business - Cameron Creek Enterprises - aimed at outdoor enthusiasts. Cameron's favorite chile is the habanero pepper.